~~> GOOD MORNING! Rise and Shine! 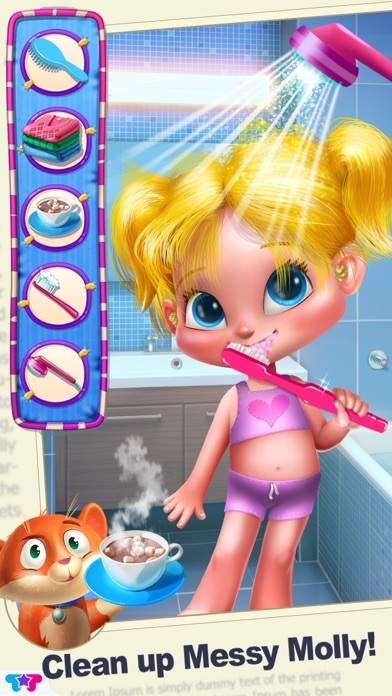 Join Molly on a crazy morning adventure, packed with care activities and fun-filled games! 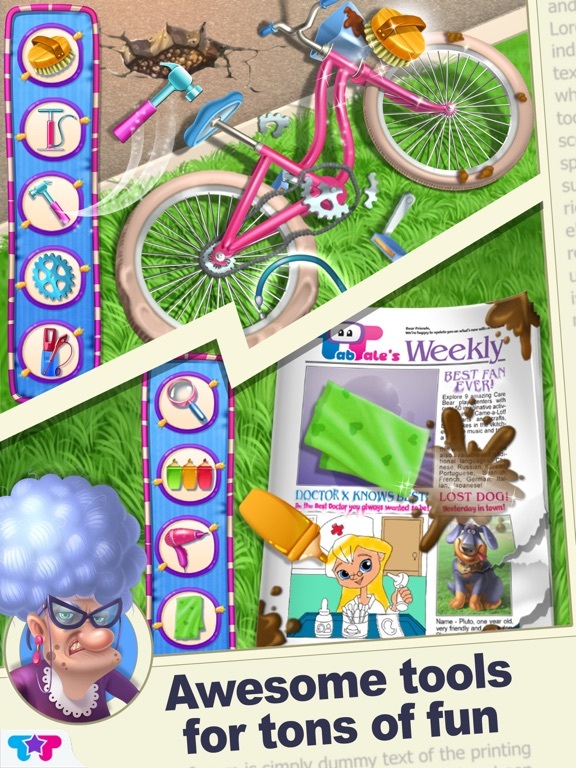 ~~> Treat injured puppies and kitties, fix your broken bike, watch out for the grumpy granny and so much more! 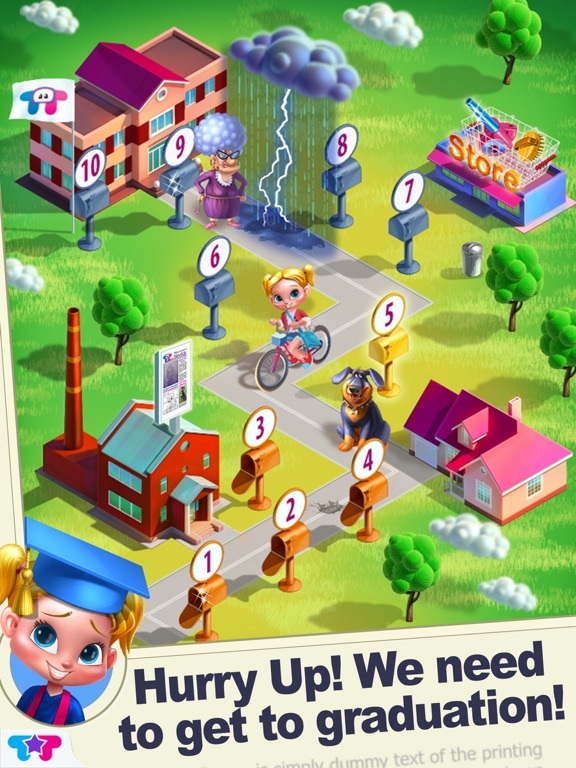 ~~> Complete tons of levels as you overcome challenges and help Molly get to her graduation in time! Extra, extra! Read all about it! 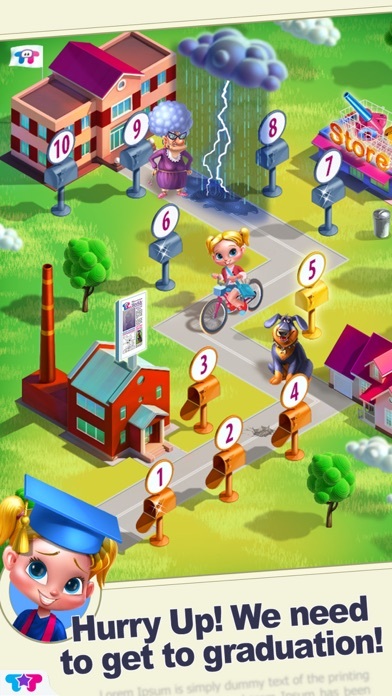 Join Molly on her morning paper route as she delivers papers and runs into some unexpected trouble! From injured cats to nasty neighbors to broken bicycles, it's sure to be a crazy morning adventure! 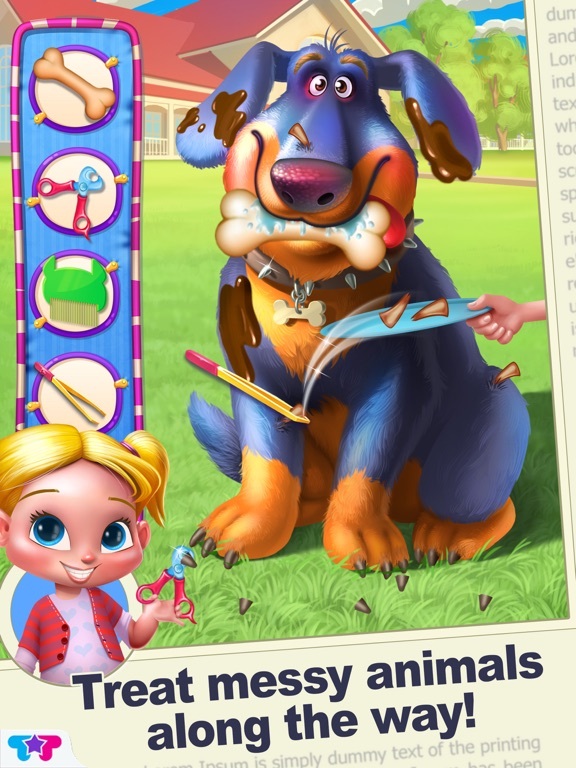 Meet Mrs. Selfridge, Molly’s mean old neighbor, care for Chilli the clumsy cat, treat Pluto the scary dog, and more! 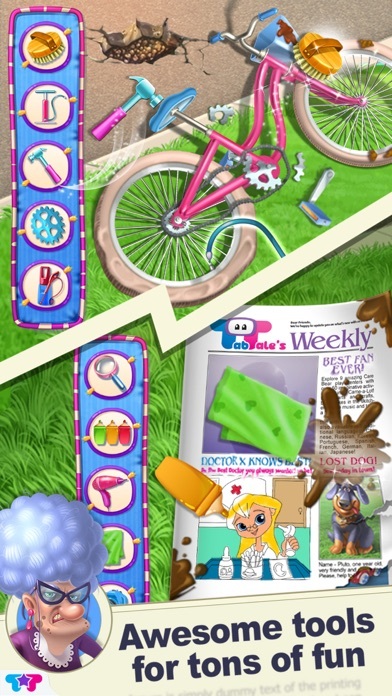 Enjoy entertaining mini games like Untangle the Yarn, Tap the Fleas and Wrap the Newspaper! What are you waiting for?! Let's deliver papers! > Treat Molly with tons of special tools! > Fix up Molly's broken bike with professional tools. > Wrap newspapers for your clients. > Be the star of the front page news! Take a selfie! 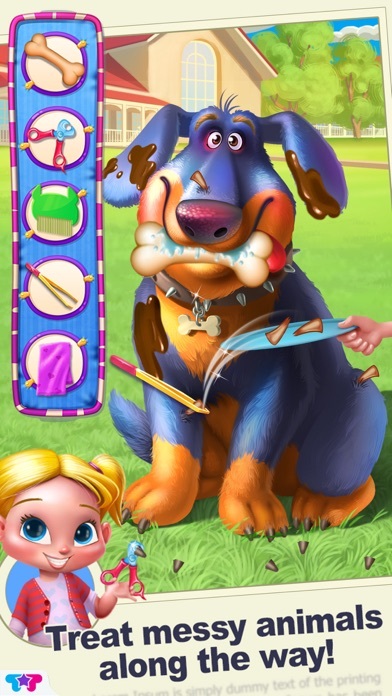 > Paint the black and white newspaper with bright colors! > Sew up Mrs.Selfridge's dress. > Use the magnifying glass to fix the torn newspaper! > Get rid of the scary dog's fleas! > Journey through different levels by completing each challenge! > Win awesome presents like hair accessories, colorful patches and more! > Snap a picture with Molly at her graduation!